This template can be used to help students find information on a topic. 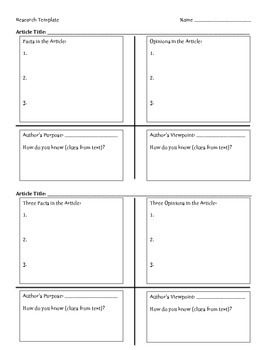 This template forces students to find facts, opinions, author's viewpoint and purpose. Additionally, students must support the viewpoint and purpose with textual evidence.